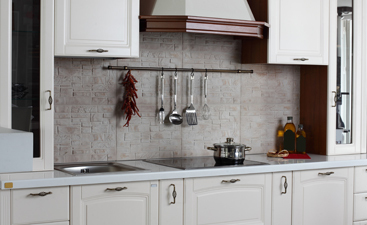 Kitchen Tiles Thousand Oaks: Ceramic or Luxury Vinyl? Ceramic or Luxury Vinyl Kitchen Tiles? Depending on where you look for your kitchen flooring elements, you may be told a number of conflicting statements. Some manufacturers, dealers, and salespeople recommend you only go with a ceramic kitchen floor tile, while others may be more apt to recommend an engineered hardwood, or even “luxury vinyl” tile alternative. There are a ton of choices when it comes to kitchen flooring, backsplash tile, countertops, cabinets, and more. With all of the choices you have to wade through during your kitchen remodel, it is no wonder that you’re just eager to get some of them over and done with. After you’ve gone through the anguish that is cabinet selection, waded through granite yards, and begun the process of treading through paint colors, you may just want to take whatever works for flooring – but don’t; your flooring can outlive all of the above elements of your kitchen, so be sure to choose what you actually need. 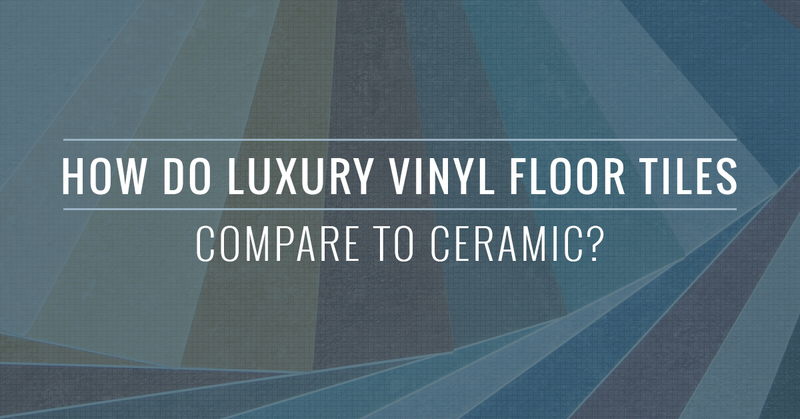 The term “luxury vinyl” is very new, dating back only a couple of years at most, and was made for a very specific reason: Vinyl flooring was considered extremely subpar. The term luxury is essentially a rebranding of vinyl to play more toward its strengths than its weaknesses. Sure, vinyl flooring has always had the ability to look and feel like just about any other flooring, but this was not taken advantage of until recently; to overcome the hurdle that was the negative impression of vinyl tile flooring while also showing its newfound appeal, manufacturers began attaching luxury to the name. Because of this vinyl renaissance, we’ve been able to see some truly extraordinary designs, patterns, and styles emerge. While luxury vinyl floor tiles can be made to look like just about anything, they are most commonly made to replicate stone floor tiles, such as you would see in a living space or kitchen. 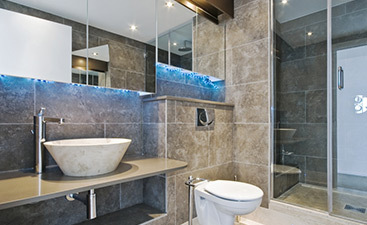 The way it is most commonly broken down on sales floors across the country is like this: Luxury vinyl can look (and even somewhat feel) like real stone while costing less to purchase and install, but real stone will last far longer and offers homeowners the unique durability and reliability that can only be offered by actual stone or ceramic floor tiles. This really isn’t too far off; from a distance, luxury vinyl floor tiles will fool all but the most trained eye, which offers homeowners heavily discounted access to what was once a high-end only look. The caveat, however, comes through in longevity, feel, and close scrutiny. After all, nothing beats the real thing. If you’re really torn between luxury vinyl flooring and real stone tile, it is often best to look at the cost now versus the potential costs later. While vinyl flooring will generally cost less to purchase and install, it will need to be replaced far sooner than real stone. If you plan to live in your home for 10 to 20, or more, years, then real stone tile will likely give you more for your money. Looking at it simply, calculate your savings on the initial installation, then work with your salesperson to determine what the average life expectancy of the luxury vinyl tile would be for that area of your home and see if the cost to replace the vinyl again would make the overall cost more than that of the original stone. Time, however, does work both ways; if the thought of changing out your flooring every 10 to 20 years interests you, then vinyl tile will likely give you much more wiggle room to change your mind later. One of the major benefits of vinyl tile is how easily it can be installed and removed in comparison to other, more permanent, flooring types. Essentially, the issue of time will come down to a couple of things: The quoted price of your flooring elements (which can vary dramatically depending on manufacturer and dealer), the estimated cost of installation, and your willingness to go through the flooring selection and installation process again down the road. While no stone truly goes to waste, once real stone or ceramic floor tiles are torn up from your home, they cannot be reused as flooring tiles again. In this specific area, vinyl flooring tiles have a tremendous leg-up for many homeowners, as nearly all vinyl flooring tiles are made from a large percentage of recycled material and are often entirely recyclable themselves. There are many who wish to support the quarry workers across the country by purchasing USA-mined stone flooring tiles, however, the price of those are often far higher than the average. Still, your decision can be swayed by environmental or economic factors that extend beyond your home; speak with your flooring expert to learn more about the larger impact that your kitchen tiles will have. At the end of the day, luxury vinyl floor tiles are very similar to true stone tiles, but fall somewhat short in capturing the hearts of those that are interested in stone. After all, a little cost savings is often worth far less than the majesty, durability, and longevity that those interested in stone kitchen tiles are looking for. Plus, vinyl is a poorer option still in especially wet or highly-trafficked areas that homeowners want to keep looking amazing for over a decade. Where luxury vinyl does shine, however, is in comparison to true hardwood; not only can luxury vinyl floor tiles be made to look like just about any kind of wood – even wildly expensive or unique types – but the initial and overall costs, maintenance requirements, and chance at damage are all far lower than those typically associated with hardwood. In reality, comparing luxury vinyl to true stone does an injustice to where it truly shines, which is in place of the ever-popular, but ever-difficult hardwood look many homeowners love. Transworld Tile is your local home for Simi Valley tile selection and service. Whether you’re looking for kitchen tiles for your San Fernando remodel, bathroom tiles for a Thousand Oaks touch-up, or floor tiles for your entire home, you can find them in our extensive showroom. 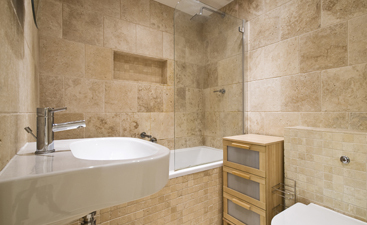 Our in-house professionals pride themselves on years of expertise in the flooring industry and are proud to offer your family the finest tiles for any budget. Experience the service that has allowed us to serve the local community for over three decades for yourself today!